It is no secret that consumers want as much as they can get for free. Including music. Do you really have to pay for music? Yes, Mr. Consumer, you do. First, it’s the law. Piracy is stealing. Second, musicians need to eat too. But even when consumers pay, the digital downloading of music has been a game changer in the way musicians are paid in royalties. This past week has seen more musicians fighting to get a little of their own back, royalty wise. Issue number 1: Is Something is Better Than Nothing? Coldplay wants to be fully-compensated. When an artist’s only other alternative is piracy, is getting fractions of pennies per song a huge step up? Coldplay is the latest band to take issue with such minimal compensation offered by streaming sites. This Monday, Coldplay announced that it would not release its latest album “Mylo Xyloto” on streaming sites such as Rhapsody and Spotify. 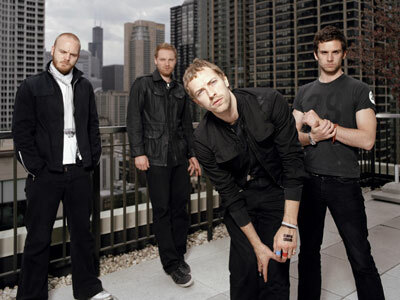 Coldplay’s fifth album is expected to be the top selling album of the year. Spotify has stated that it “respects” such decisions of musicians, but it does point out that their service has “‘convinced millions of consumers to pay for music again.’” Isn’t that nice? Spotify doesn’t seem to understand that just because it gets consumers to, um, comply with the law, does not make it the patron saint of digital-age musicians when its pay out per streamed song is a whopping $0.0015. At least Rhapsody President Jon Irwin admits that the $0.091 per song Rhapsody pays in royalties sounds, well, condescending, parsimonious, Scrooge-like and small. On October 25, 2011, Jon Irwin wrote an op-ed piece for Billboard in order to clear the air on how differences between streaming sites and online music stores impact payment of royalties. Unlike iTunes, where artists are paid one time for the purchase of their music, artists on Rhapsody get fractions of pennies every single time the song is streamed, creating an “infinite potential for artists and writers to be compensated over time pursuant to their agreements with their representatives.” This argument does seem to have more bite than Spotify’s “at least I am paying them something” line. Some find Townshend’s argument to be misguided. Helienne Lindvall for The Guardian writes that Townshend’s rant makes him sound like “a dinosaur.” She writes that the real culprit is not iTunes, who has provided indiscriminate support to commercial and independent artist alike, but those companies “which put the onus on artists and labels to file DMCA take-down notices every time someone posts an unauthorized and unlicensed track on their site.” Lindvall cited an anonymous music industry insider who, if faced with the choice, would prefer to fight YouTube instead of piracy. The insider’s rationale is that most fans know that piracy means ripping off their favorite musicians, and so will at least hesitate to steal. However YouTube maintains the indicia of fair compensation when in reality their payment to artists makes Spotify and Rhapsody look really, really, really good. Peter Townshend, did you hear this? Federal Judge Susan Illston in California ruled that a class action lawsuit alleging underpayment of royalties for digital music and ringtones against Universal Music Group will go forward. The debate at the center of this lawsuit is whether a consumer’s download of digital music constitutes a “sale” or a “licensing.” A sale means greater profit for the distributor, while the licensing of material means more of a 50/50 split between the musician and label. So naturally, the distributor UMG has been treating digital downloads as sales. To move forward as a class action, the plaintiffs had to establish that the consuming public was harmed by UMG’s actions. Judge Illston found public consumer harm where UMG engaged in a “‘sustained public relations effort’ designed to convince the public that it had employed ‘groundbreaking’ and ‘enlightened’ accounting practices that actually benefitted (rather than cheated) the Class.” UMG’s motion for dismissal was denied. And UMG doesn’t seem to be getting a break. Now Chuck D of Public Enemy is bringing his own class action against UMG, also alleging the underpayment of royalties. Although the Future of Music Coalition suggests that such large payments could threaten record labels’ viability, it sounds like the plaintiff class that includes Rob Zombie and the estate of Rick James has a good chance of recovering millions owed in underpaid royalties. Wow. So basically, some artists may soon be receiving millions of dollars because you wanted to have “She’s A Brick House” as a ringtone. Now that’s super freaky.